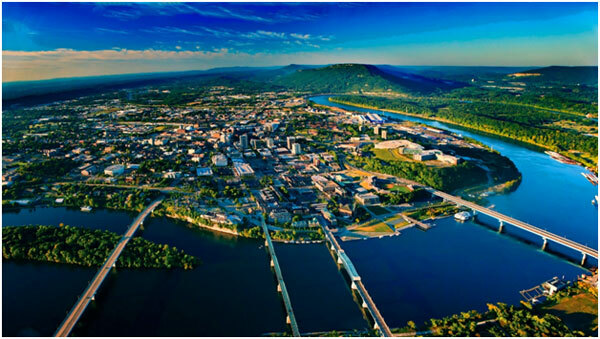 Chattanooga has several popular historical sites and landmarks. The most popular is Lookout Mountain, a mountain ridge that partially separates the city from the state of Georgia. The mountain was a battle site during the Civil War, but today offers trails, caves, and paths for visitors to explore. On the Georgia Side, you can visit the Rock City Gardens. This is a pathway from which you can observe gardens, trails, and a view of 7 states. The 90-foot waterfall is one of the most picture-worthy spots on the mountain. There might not be a more beautiful view in Chattanooga than this.The picturesque spot costs $19.95 for adults and $11.95 for kids aged 3 to 12. 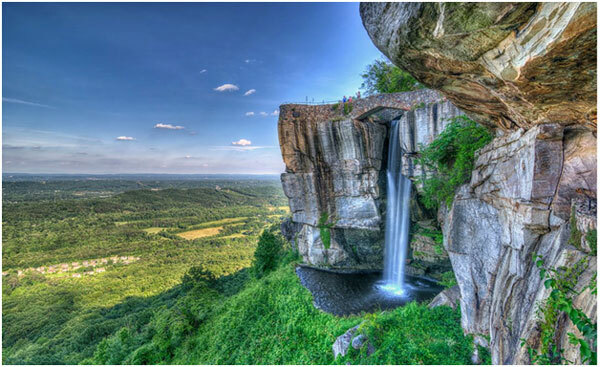 Prices are more value if bought in a package with other Lookout Mountain attractions like Ruby Falls and the Incline Railway. If you enjoy the presence of animals, you should head over to the Tennessee Aquarium to learn more about their interesting creatures. The public aquarium, opened in 1992, features many exhibits on river and ocean animals, birds, and more. They also offer interactive shows and events. What’s interesting about the aquarium is it follows a theme of a raindrop traveling from a mountain stream to the bottom of the ocean. It’s called the “River Journey Exhibit”, and visitors follow the raindrop through a forest, to the Tennessee River, and eventually into the ocean. At each stop, they meet new animals, ranging from land to river animals. Some popular animals you can spot during the journey are penguins, sharks, otters, stingrays, and more. 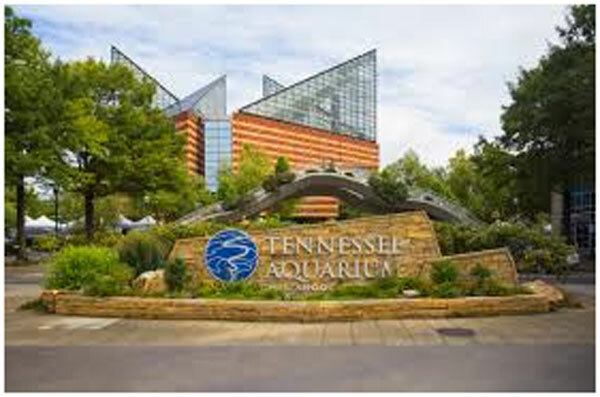 The Tennessee Aquarium charges an admission fee of $29.95 for adults and $18.95 for kids aged 3 to 12. Those who are under 3 get in for free. They are open from 10 am to 6 pm, so you have plenty of hours to explore the interesting attraction. There’s a lot of outdoor activities on Lookout Mountain. From trails, caves, and pathways to gardens and beautiful views, it has it all. Within a cavern of the mountain, you can find Ruby Falls. 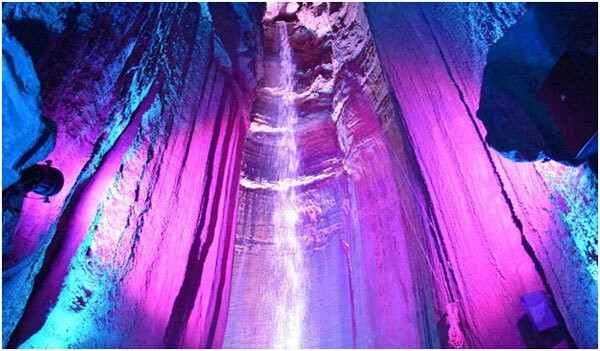 Ruby Falls is a 145 foot underground waterfall. What’s even more interesting is that it was found completely by accident in the early 1900s during construction. Since it is located 1,120 feet below the mountain surface, it is America’s largest underground waterfall and the cave is the deepest commercial cave in America. Visitors can take an elevator down to the attraction, where’s there more to do than just look at a waterfall. There’s a lookout tower, a ziplining location, and a place for the kids to play. The Ruby Falls are open every day from 8 am to 8 pm all year. For adults, tickets cost $18.95 and $10.95 for kids aged 3 to 12. Packages with other attractions are also available, but for a steeper price. Do you consider yourself an artistic or creative person? If you do, you might want to visit the Bluff View Art District. The neighborhood, which is just over a block, is filled with public works of art. You might be able to draw inspiration from here for your next drawing. The district features three art institutions, the Hunter Museum of American Art, the Houston Museum of Decorative Arts, and The River Gallery. The largest and perhaps the most popular is the Hunter Museum of American Art. It features 3 buildings, each holding art from different times. The other two gardens together feature paintings, sculpture gardens, many paintings and drawings, antiques, and much more. The Bluff View Art District doesn’t have specific operating hours, but attractions and amenities within do. There are no fees to explore the neighborhood, but most attractions within do charge an admission fee. 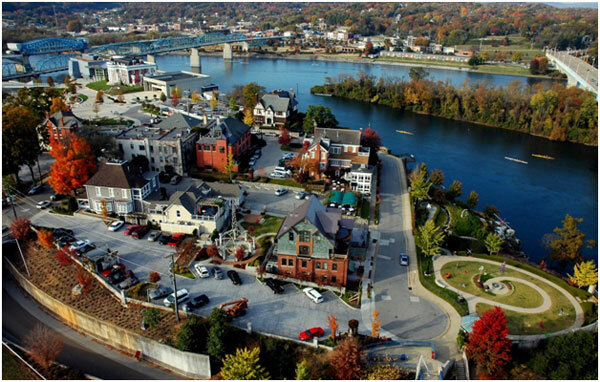 Are you looking for a way to get to Chattanooga’s famous landmark, Lookout Mountain? 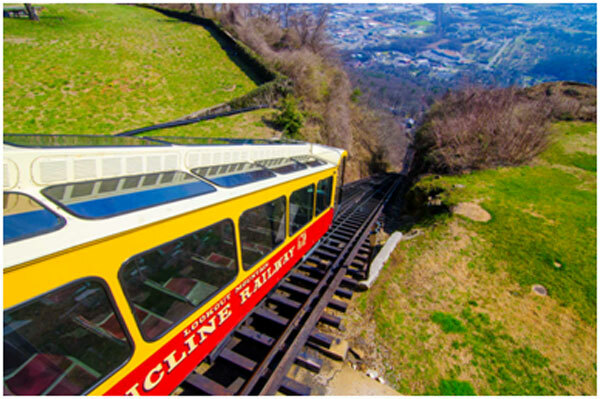 The most memorable experience is the Incline Railway, which is considered one of the steepest passenger railways in the world since it is on a nearly 73 percent grade track. The railway leads to views from Lookout Mountain’s highest point. The railway attraction is in the St. Elmo historic neighborhood. Several popular attractions lay close to the railway, including Point Park, the Battles for Chattanooga Museum, and more. The Lookout Mountain Incline Railway is open from 9 am to 7 pm every day. The price for adults is $15 and $7 for kids aged 3 to 12. Combo packages with other attractions are also available. The best way to tour the city of Chattanooga (as well as many other cities) is by chartered buses and vans. Explore at your own pace within the safety of your private vehicle. Don’t worry about ordering an Uber or Lyft when you have your own exploration vehicle. Through Prompt Charters, you can order the buses you need. Prompt Charters is an amazing, affordable chartered vehicle company that caters to your every needs. Whether you need a bus for school trips, marriages, parties, campaigns, or whatever else, Prompt Charters can help you. Prompt Charters offers buses, mini buses, school buses, party buses, and more. Most activities and destinations listed above and below are accessible by chartered buses. Visit the website (promptcharters.com) to book your rental bus today! 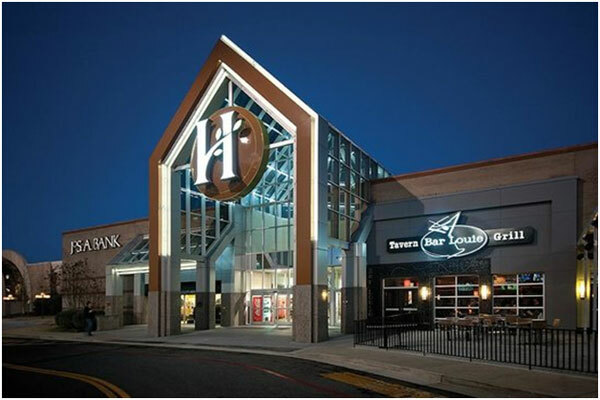 Hamilton Place – If you’re looking for a great place to shop, head over to Hamilton Place. This shopping mall is the largest in the city as well as one of the largest in the whole state. With over 200 stores and services, as well as many restaurants, it’s no wonder why the mall is so popular. Warehouse Row –Another mall, although much smaller, is Warehouse Row. They feature more local and private businesses and services. If you’re looking for a unique place to shop, Warehouse Row is the move. John’s Restaurant – One of the most popular, sit-down restaurants is St. John’s Restaurant. The American restaurant is both vegetarian and vegan friendly. St. John’s is rated the #1 fine dining restaurant in Chattanooga by tripadvisor in 2018. Uncle Larry’s Restaurant – Uncle Larry’s is a popular restaurant serving local, tasty food. The American restaurant is known for its seafood dishes. Uncle Larry’s Restaurant is rated the #1 local cuisine restaurant in Chattanooga by tripadvisor in 2018.